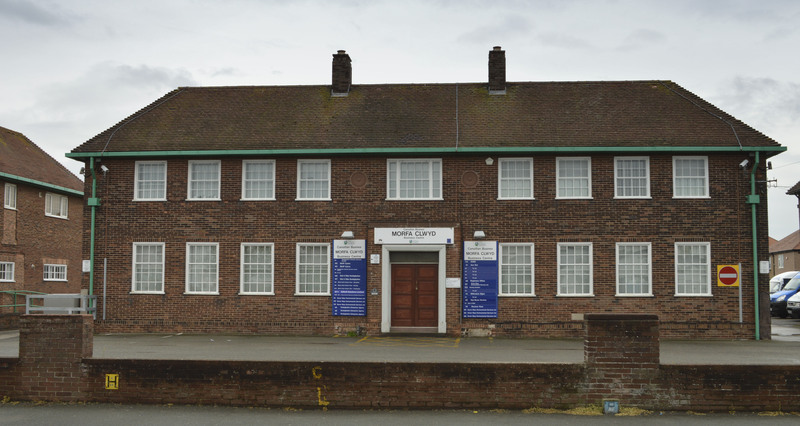 This handsome building on Marsh Road, which is now occupied by Morfa Clwyd Business Centre and The Register Office, was designed by architect William John Bowen for Mr Thomas Cliffe (“the stamp man”). Mr Cliffe started his business in 1920 and by the 1930’s his name was associated with Colwyn Bay by up to 5 million stamp collectors across Britain. From his office on Princes Drive, Colwyn Bay, stamps were packed and sold through many and various outlets including Woolworths. The stamp packets were also placed in some cigarette packets. With business thriving, he had about fifty employees, Cliffe asked Mr Bowen to design for him a purpose built factory. After problems acquiring planning permission in Colwyn Bay, Cliffe looked further afield and he bought the land on Marsh Road, Rhyl. Building began in 1937. Mr Bowen designed a central block for the hub of the work and two smaller dormitory buildings at each end to house the workers. As it turned out, most of the ladies preferred to travel daily and the dormitory building on the right became a canteen and caretaker’s home – it is now the Register Office. 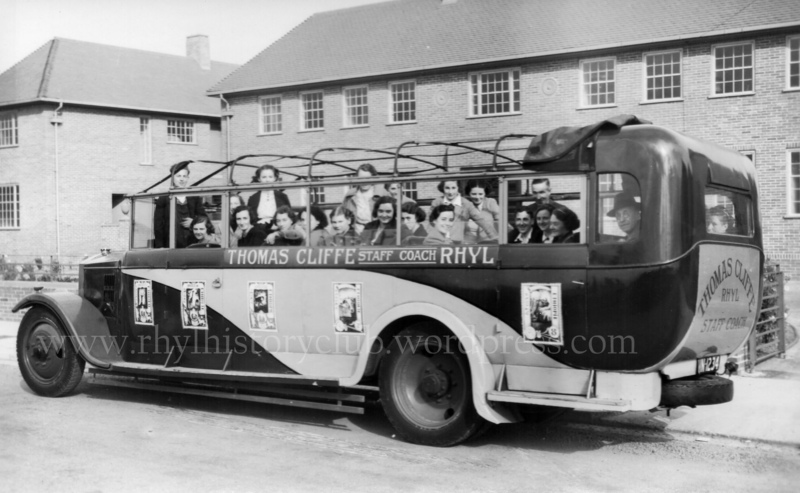 Thomas Cliffe was very loyal to, and appreciative of, his Colwyn Bay workforce and provided a bus in which to transport his workers backwards and forwards to Rhyl, free of charge. The work included handling and selling stamps by the ton, making stamp albums, stamp hinges and philatelic accessories. Postal services have been issuing stamps from around the world since 1840 and by the 1860’s thousands of stamp collectors and stamp dealers were appearing as this new interest and hobby spread worldwide. 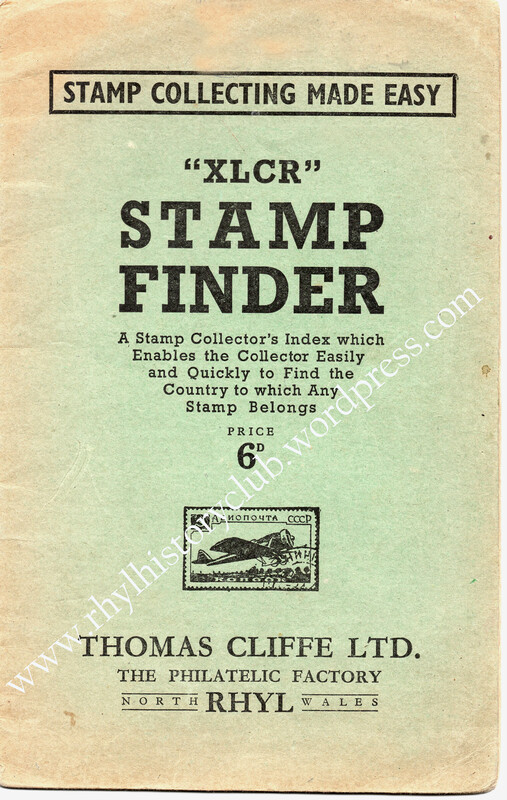 The “Stamp Finder” booklet pictured above contains not only a stamp collectors’ index but also features such as “Know the World through your Stamp Collection”, “How to start a Stamp Collection” and “How to organise a Stamp Club”. “Rhyl and Rhuddlan Days of the Past”, Harry Thomas, 1985.